Midland Bricks popular range of Renovators clay bricks help renovators maintain the original character and look of their home or building. Midland Brick understands and appreciates how important it is that your new renovation project blends seamlessly with the old. 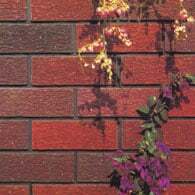 And to assist in obtaining the closest possible match, Midland Brick have developed a simple matching service to take the guess work out of identifying older style bricks.